As you probably already know, an unexpected roof leak can be disruptive to your tenants, cause extensive damage to your property, and be devastating for your business. 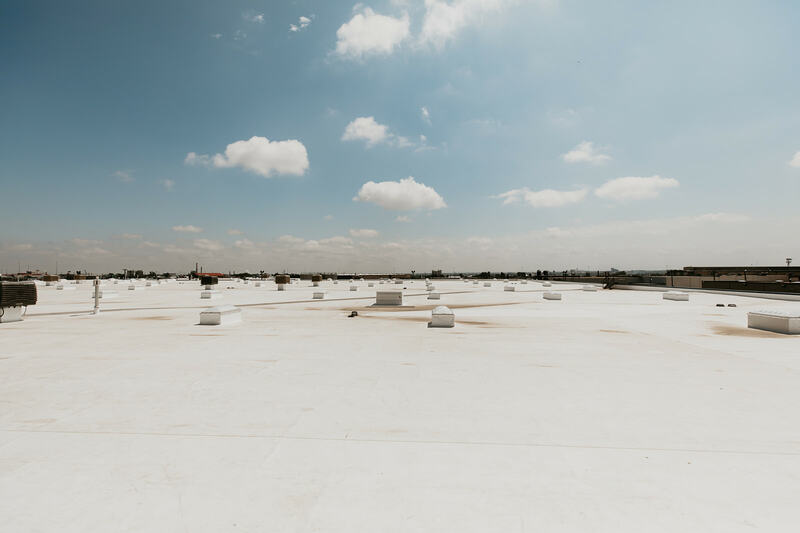 As the leading resource for commercial roofing placement and repairs, we understand the crucial difference a reliable roofing system can make. That’s why at ECO Roof and Solar we build commercial roofs that last a lifetime. At ECO Roof and Solar, our emergency repair teams are available 24/7 and are certified experts at assessing commercial roofing damage. If your business has recently been hit by a storm or needs repair, please call us to request a free roof inspection. To ensure that replacing your roof is not a difficult process, we have committed our team of professionals to “The ECO Way”, which is a 5-step solution that provides 100% customer satisfaction. Step 1: Detailed professional roof inspection and report that will ensure you get every penny you deserve for your replacement. Step 2: Insurance claim submission and approval through our expert billing specialists. Step 3: Choosing your new roof from the top manufacturers in the industry. Step 4: Roof installation and clean up with as little disturbance to your daily operations as possible. Step 5: Final inspection and warranty. Whether your roof is large or small, flat or sloped, 100% Silicone Roof Coatings provide a proven, guaranteed solution for renewing your weathered and leaking roof. Silicone can be applied to virtually any existing roof to create a durable, glossy, seamless membrane that seals and protects against ponding water, ultraviolet light, and severe weather. Learn more about how Silicone Roof Coating maintains your existing roof here.